It's Halloween season and everyone has been in the mood to watch scary movies from the classics to new thrillers being shown in theaters. 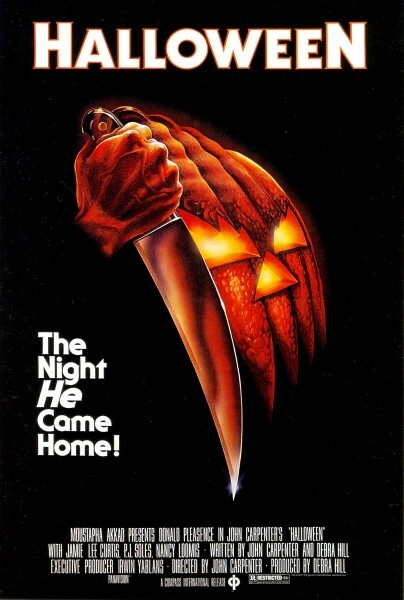 I recently saw the new Halloween, the 2018 continuation of the series that started in 1978. If you haven't seen any of these movies, Jamie Lee Curtis plays the main target of the serial killer, Michael Myers. The new Halloween, follows the same story line but it is set in present day, so Jaime Lee Curtis' character much older and a grandmother. Her daughter and granddaughter play significant roles in the movie as they are also being hunted by Michael Myers, but the three females work together to defeat Michael. Although Jamie Lee Curtis is not casted in all the Halloween movies, there is a strong association between her and the movie series. The new Halloween specifically comments on today's society and the empowerment of women. At the end of the new Halloween, Jaime Lee Curtis, her daughter, and granddaughter trapped Michael Myers and killed him. The camera focused on the three women panting heavily over their accomplishment, looking totally badass. Having three women take down the famous serial killer that has been around since 1978 is significant. Michael Myers got hit by a high speed police car and still managed to survive, so props to Jaime Lee Curtis and her family. But this aspect of the movie also comments on the rise of woman empowerment in today's society. Typically, a big strong man would of came in to save the three woman from danger. Also throughout the movie, the granddaughter of Curtis caught her boyfriend cheating on her. The typical woman stereotype would depict her crawling back to him despite his wrongdoings. Instead, she stood strong and walked away telling him he will never get a chance again. A strong independent women would have never been found in a horror movie 20 years ago, and Halloween is beginning to change that for us. Hello! I'm a freshman at American University.